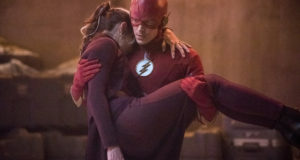 Do you know how hard it is to find a good Top in Central City? The Flash was able to find one! E! 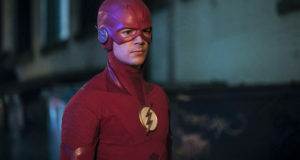 Online has revealed that the fourth episode of The Flash Season 3 will feature Awkward’s Ashley Rickards (no relation…. we don’t think) as Rosalind “Rosa” Dillon, aka The Top, who will team up with Grey Damon‘s Mirror Master in Episode #3.4. As a bonus, the episode also features the return of Captain Cold (Wentworth Miller)! You can read the E! article that broke the news here. Previous: The Flash: Screencaps From The Season 3 Sizzle Reel!